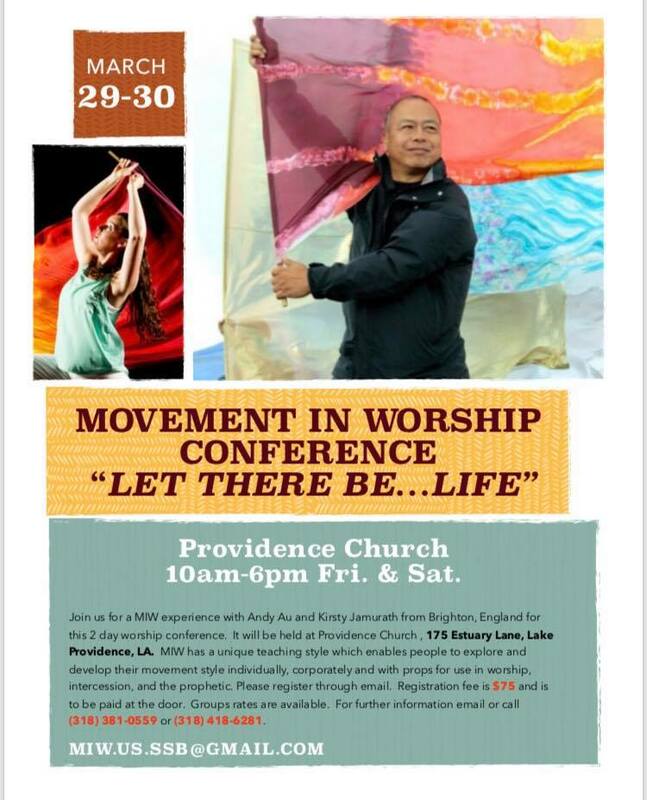 Join us for a MIW experience with Andy Au and Kirsty Jamurath from Brighton, England for this 2 day worship conference. It will be held at Providence Church, 175 Estuary Drive, Lake Providence, Louisiana, USA. MIW has a unique teaching style which enables people to explore and develop their movement style individually, corporately and with props for use in worship, intercession and the prophetic. Please register through email. Registration fee is US$75 and is to be paid at the door. Group rates are available. For further information email or call Shelly (318) 381-0559 or Debra (318) 418-6281.